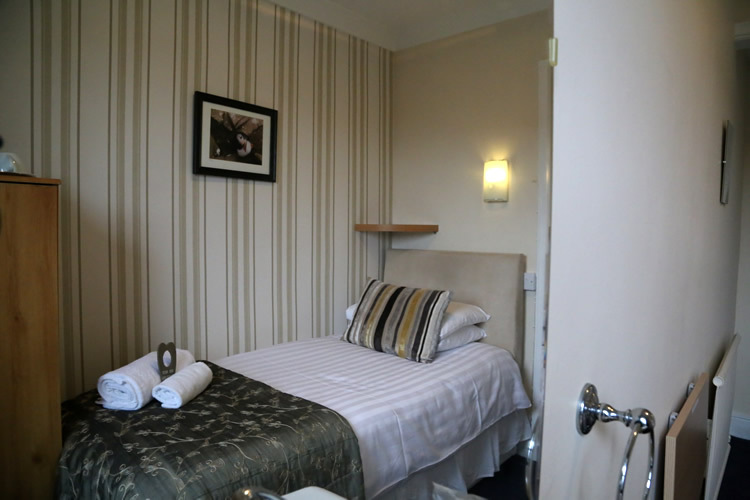 Our 14 comfortable en-suite (with shower) bedrooms are primarily located on the first and second floors however a ground floor double is also available.We offer doubles, kings, twins, singles and economy single rooms and we have one four poster bed. 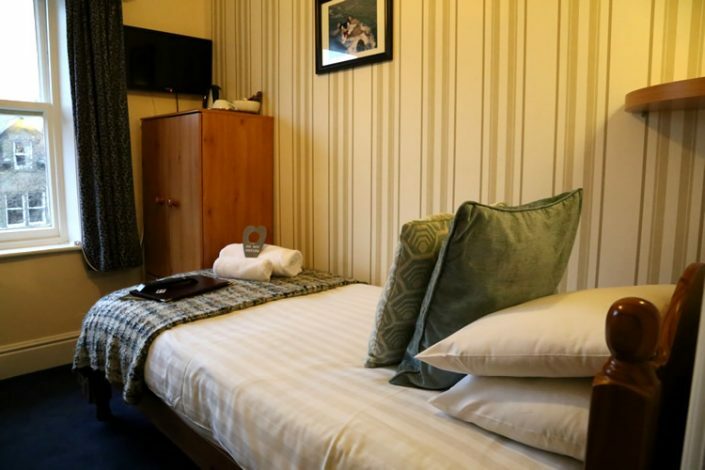 As with all our rooms, there are tea and coffee making facilities and a generous hospitality tray offering a range of teas, coffee and hot chocolate, and edible goodies. 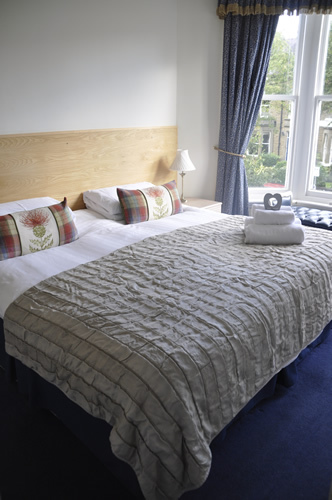 There is a flat screen TV and good access to free WiFi internet. 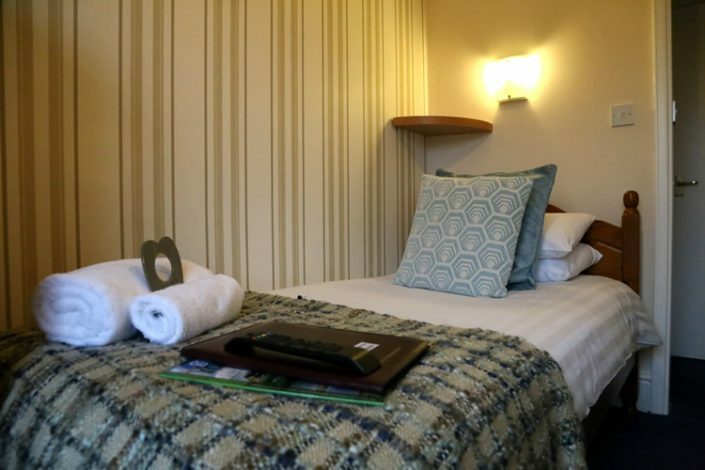 A luggage rack is provided. Our Double Rooms are welcoming and comfortable, located either at the front or rear of the property, on the ground, first and second floors. Some come with lovely views over our award winning gardens whilst other face a beautiful tree lined Victorian street at the rear of Arden House. Where guests would prefer a larger bed, please consider our twin rooms where we can create a Super King bed. 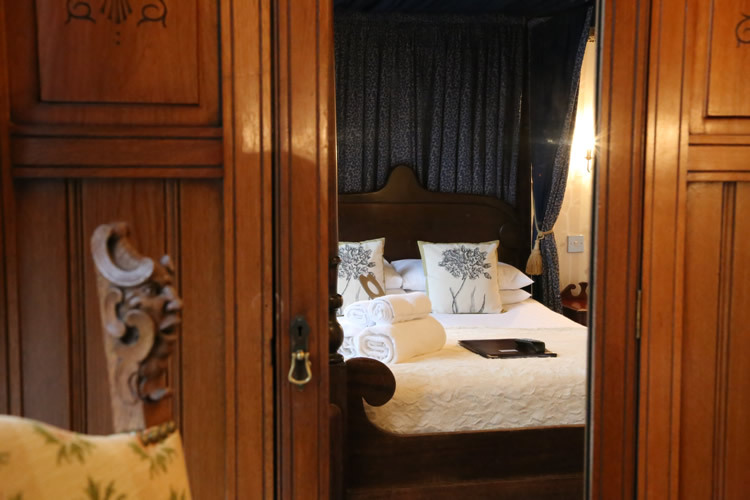 The Four Poster Room is an expansive, comfortable, double windowed room at the front of the house, on the first floor, with a lovely view over our award winning gardens. 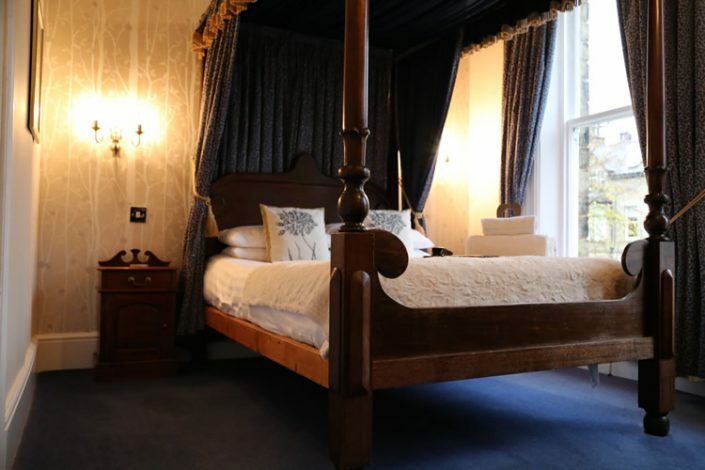 The bed is a traditional and rather romantic mahogany four poster with blue drapes that match the window curtains. 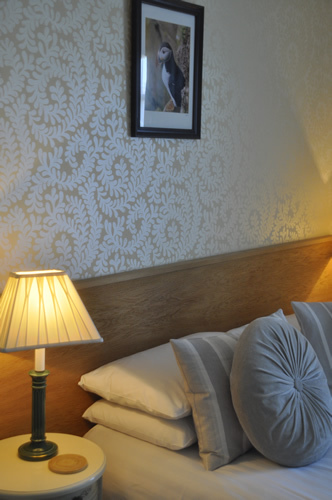 The mattress is high quality sprung memory foam. 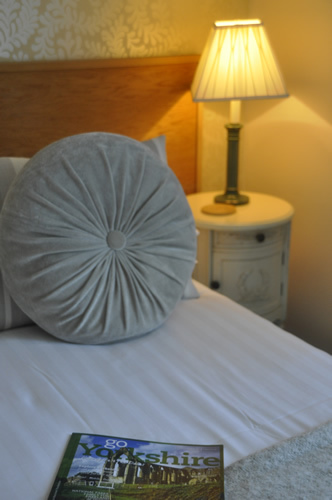 The bedlinen is crisp white cotton and a sumptuous topper is provided to offer a luxurious and restful night’s sleep. Our twin rooms can either be configured as two full size single beds, or they can be placed together to create a Super King bed. 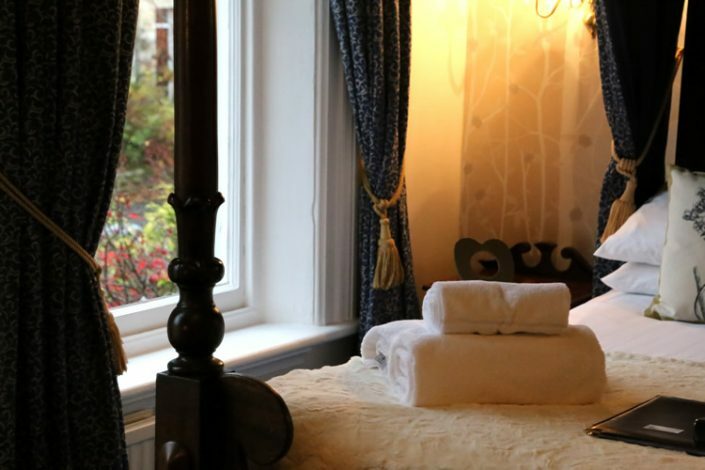 Our individually decorated twin rooms come with a series of traditional features and furniture in keeping with the character of Arden House. 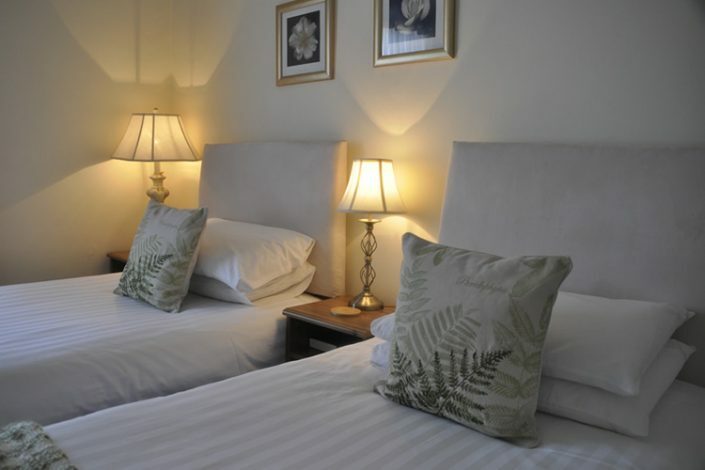 All rooms have plentiful storage for your clothes, belongings and accessories. 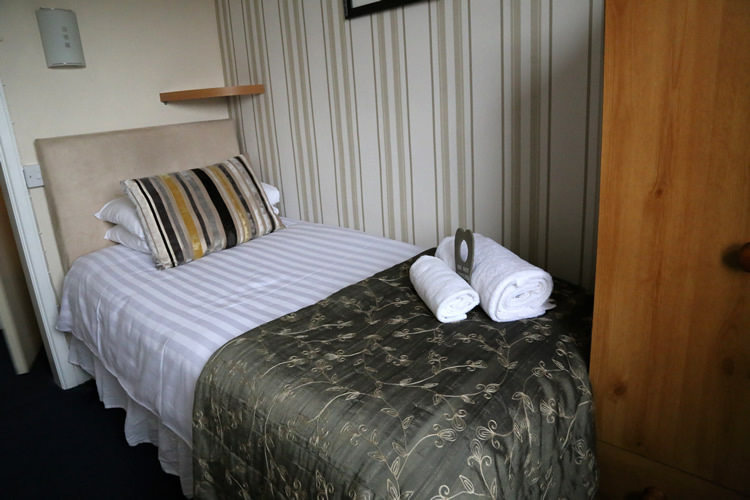 Our single rooms have one full size single bed. 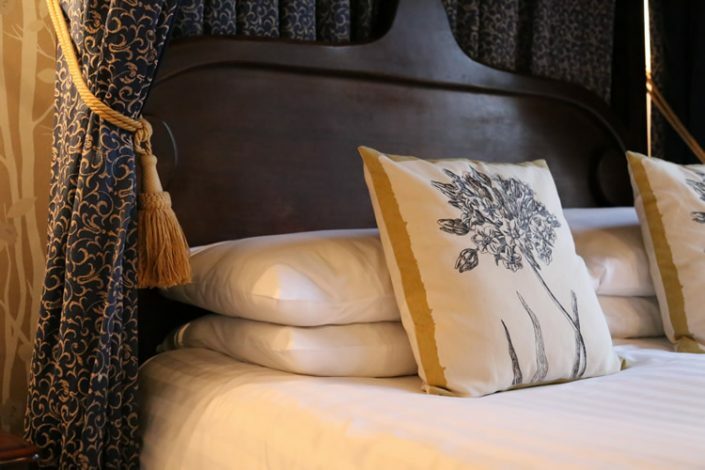 All beds are all fitted with high quality mattresses and the bedlinen is crisp white cotton and a sumptuous topper is provided to offer a luxurious and restful night’s sleep. 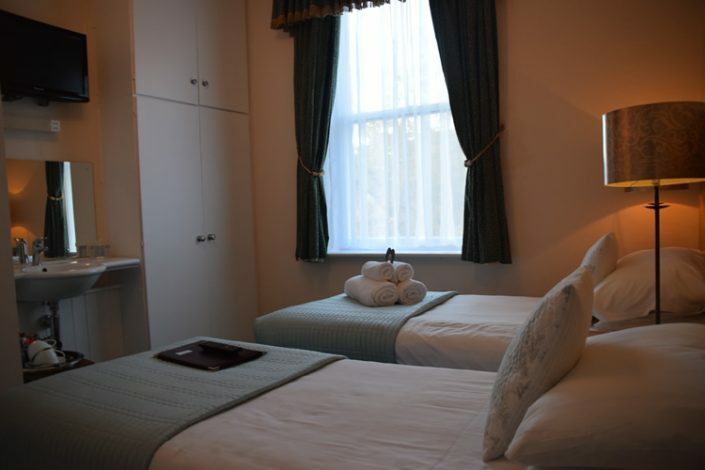 One of the rooms has an en-suite shower room, whilst the other room has an ensuite bath with shower over. 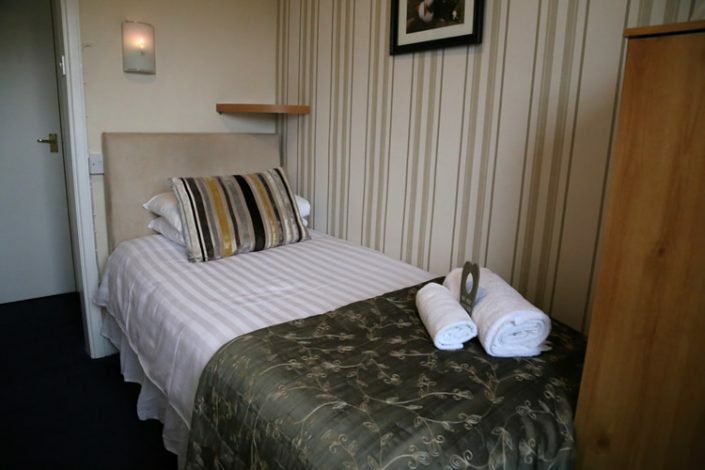 For your comfort we provide a range of high quality toiletry products and a hair dryer. 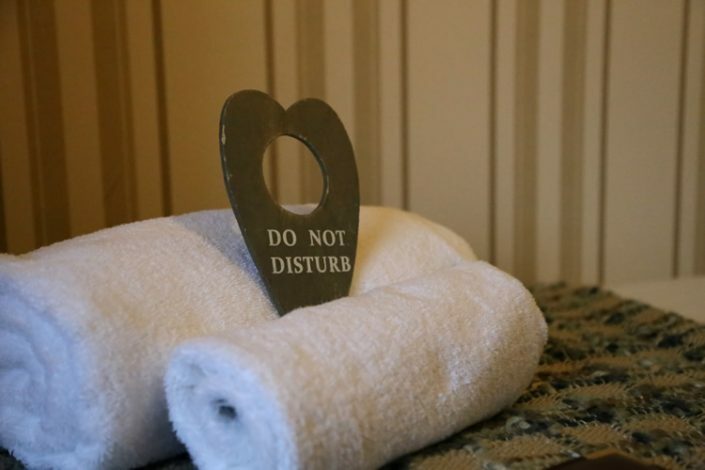 For the warmer months, fans are also located in every room. 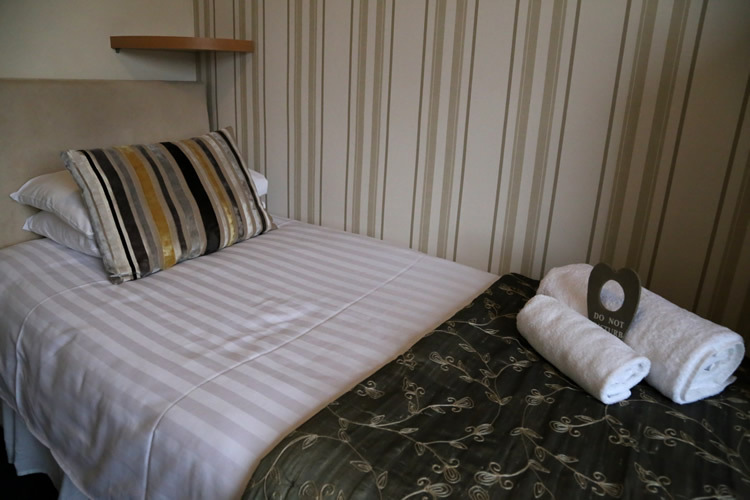 Our single economy rooms have one full size single beds, but the room itself is more compact than our standard single rooms. 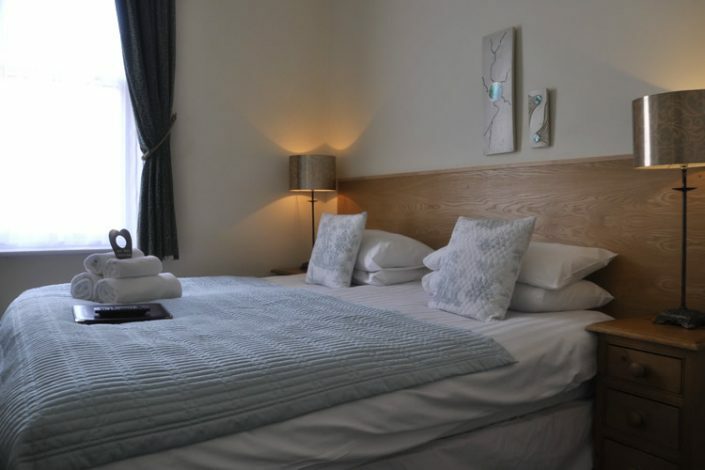 As with all our rooms, there are tea and coffee making facilities and a generous hospitality tray offering a range of teas, coffee and hot chocolate, and edible goodies. 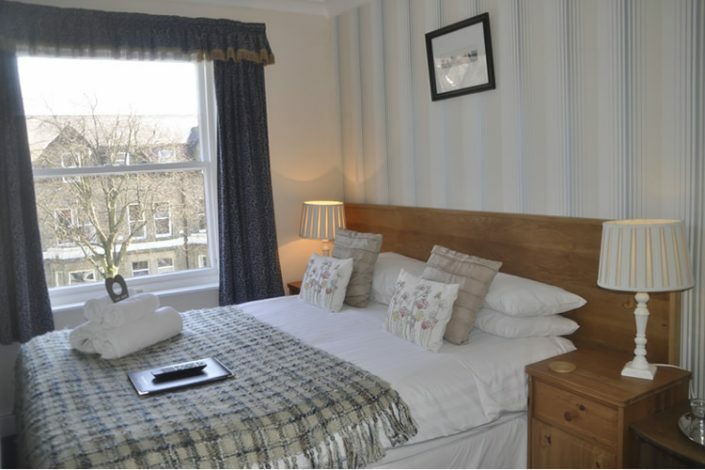 There is a flat screen TV and good access to free WiFi internet. A luggage rack is provided. 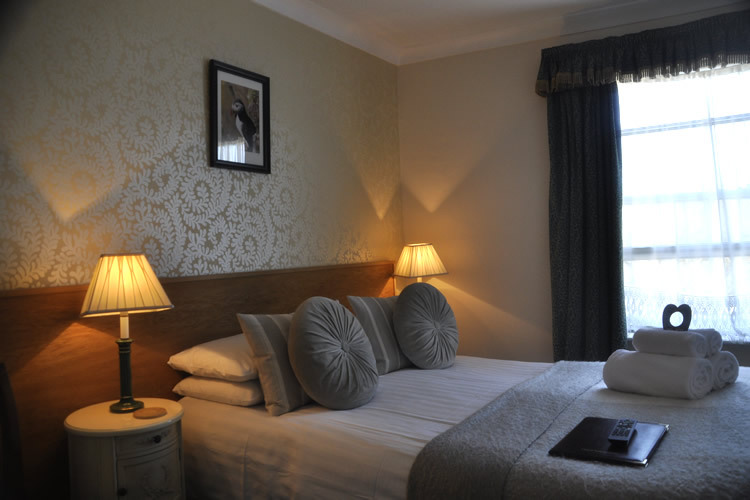 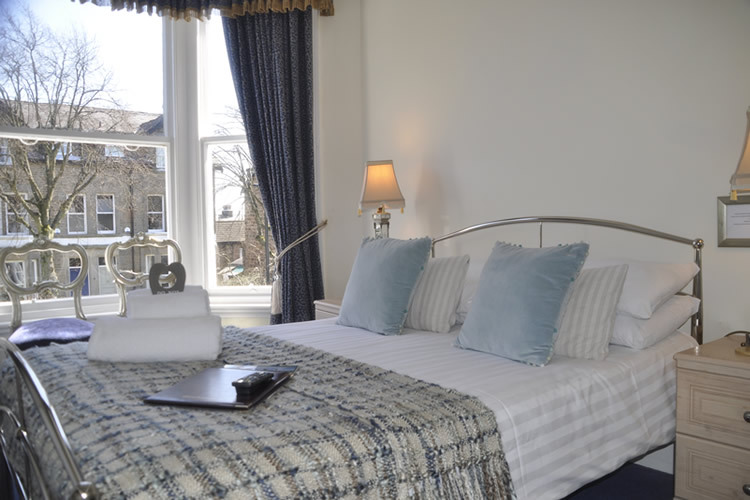 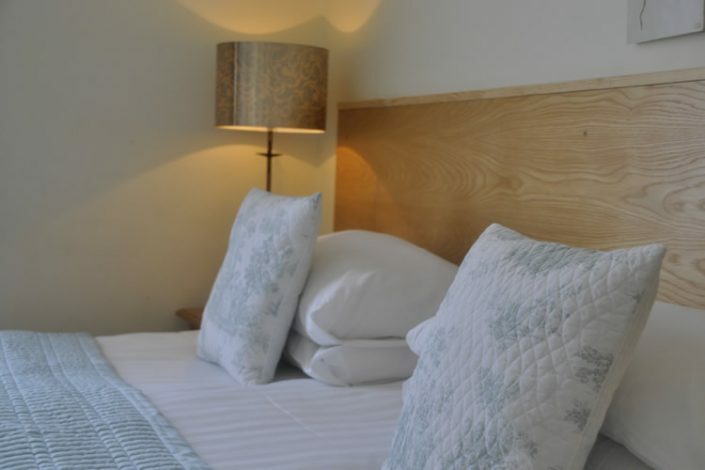 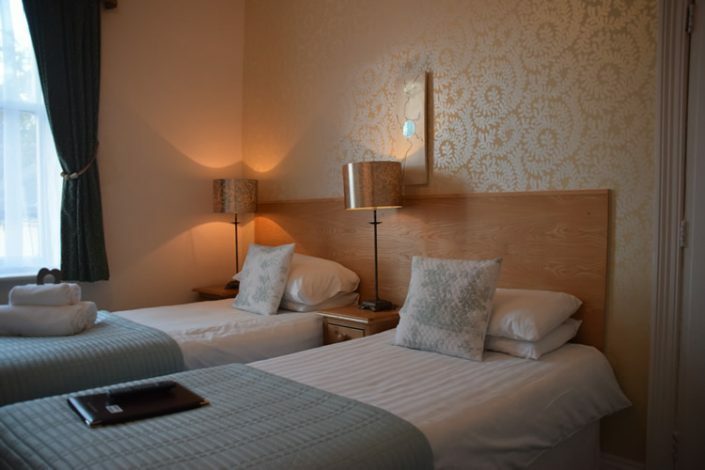 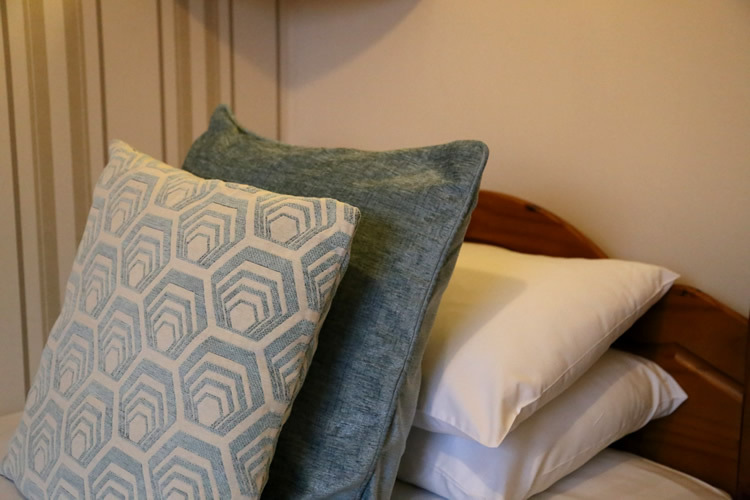 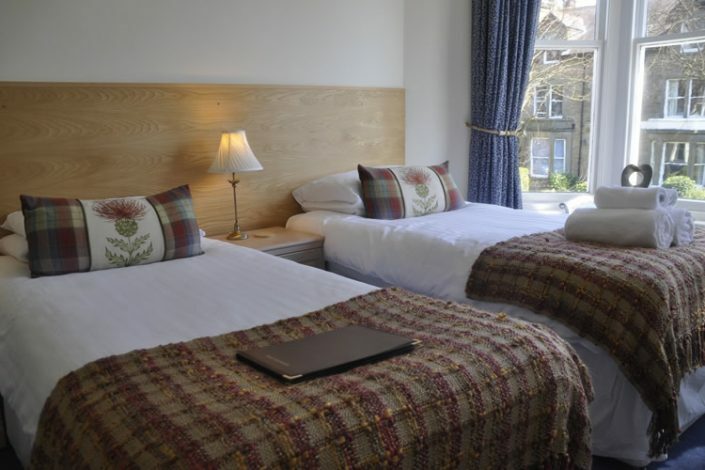 Our 4 star rating means that we provide comfortable beds, crisp cotton bed linen, showers, flat screen TV, free Wifi, quality range of toiletries, and hospitality trays.